The role of women in Iran has commonly been viewed solely through the lens of religion, symbolized by veiled females subordinated by society. In this work, Firoozeh Kashani-Sabet, an Iranian-American historian, aims to explain how the role of women has been central to national political debates in Iran. 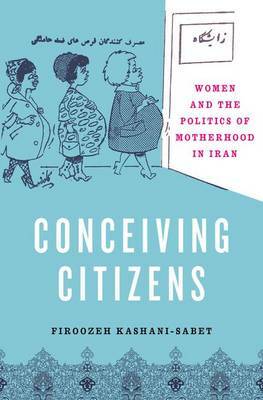 Spanning the 19th and 20th centuries, the book examines issues impacting women's lives under successive regimes, including hygiene campaigns that cast mothers as custodians of a healthy civilization; debates over female education, employment, and political rights; conflicts between religion and secularism; the politics of dress; and government policies on contraception and population control. Among the topics she will examine are the development of a women's movement in Iran, perhaps most publicly expressed by Nobel Prize winner Shirin Ebadi. The narrative comes up to the present, looking at reproductive rights, the spread of AIDS, and fashion since the Iranian Revolution.